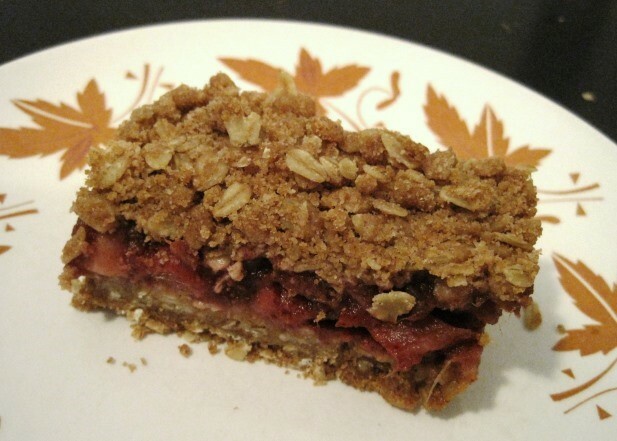 This recipe is a modified version of an apple and date square recipe I found on the BC Tree Fruits website a couple of years ago. 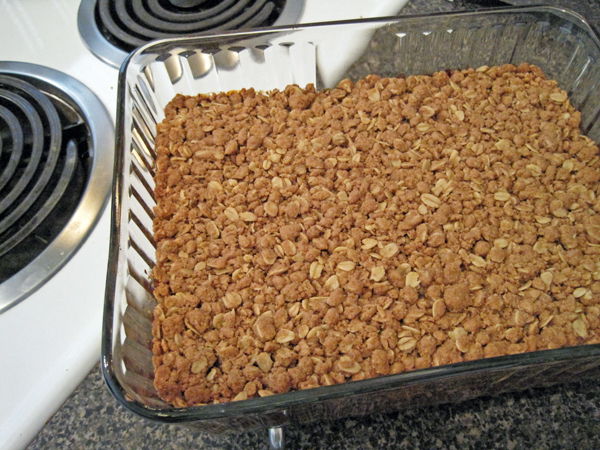 The recipe is no longer there, but there is a recipe for apple breakfast bars and many tasty looking desserts. 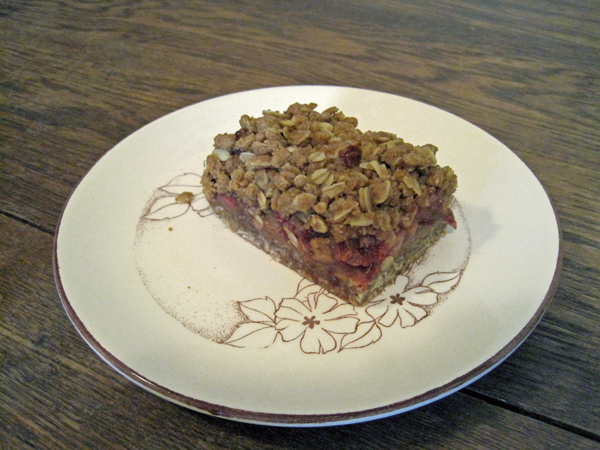 A modified version of the apple and date square recipe can be found at Food for Thought. 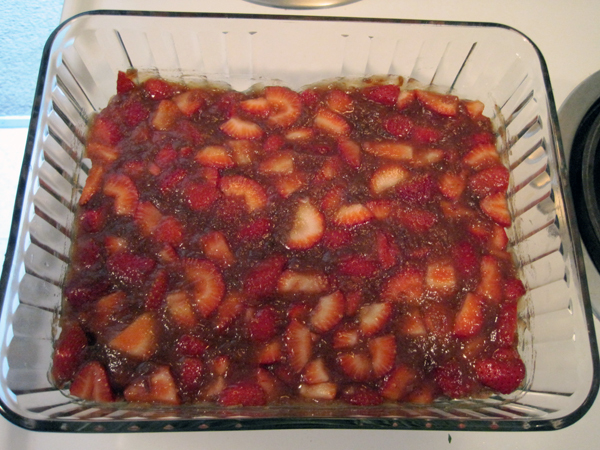 Strawberries are plentiful and delicious at this time of year, so I thought it might be tasty to substitute the apples in my usual apple-date square recipe with strawberries. I actually like the strawberry version better! The dates and lime give a really pleasant boost to the strawberries’ natural sweetness and flavour. The crumble layers are only lightly sweetened, which I find provides a nice contrast to the sweet, juicy filling. The squares stay fresh in the fridge for 3 or 4 days. I like to reheat them in the oven and enjoy them warm for dessert or breakfast. * For a less floury crumble mixture, add an extra teaspoon of coconut oil and 1 teaspoon of water. Put butter in a mixing bowl and let it warm to room temperature (1-2 hours). You can replace the coconut oil with butter. If so, use 3/4 cup of butter. Cream butter, coconut oil and brown sugar until smooth. Stir in vanilla, almond essence, salt and cinnamon. 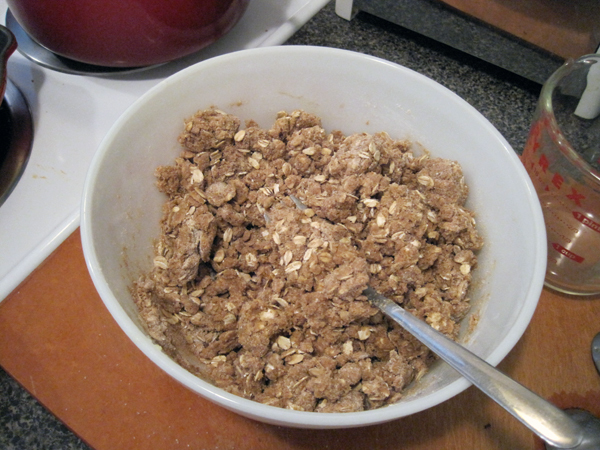 In another bowl, mix together flour and oats. Add dry ingredients to butter mixture. 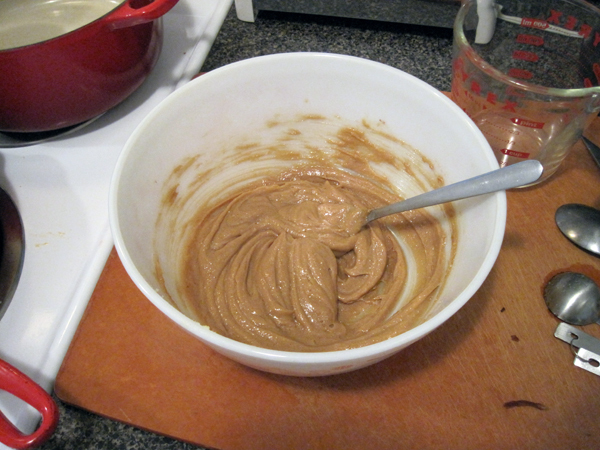 Mix until you have an even, crumbly mixture and all flour is coated in butter. Cover bowl with a plate (or something else) and put in fridge while you prepare the filling (or for a few hours). When dates are done soaking, use a fork or wooden spoon to turn the dates and water into “date mush”. Put “date mush” in a large mixing bowl. Stir in lime juice, maple syrup, vanilla and cinnamon. I use organic bottled lime juice (very handy and quite tasty). Chop strawberries into “pinky tip” sized pieces (about 1 cm x 1 cm x 1 cm). Gently and evenly stir strawberries into date mixture. Spread fruit filling evenly over crumble base. Sprinkle remaining half of crumble mixture over fruit. Spread it out evenly and press it down gently. Put baking pan into your pre-heated oven. Check it after 30 minutes. Is the fruit bubbling and are the crumble edges slightly browned? If not, let it bake for 5 or 10 more minutes. 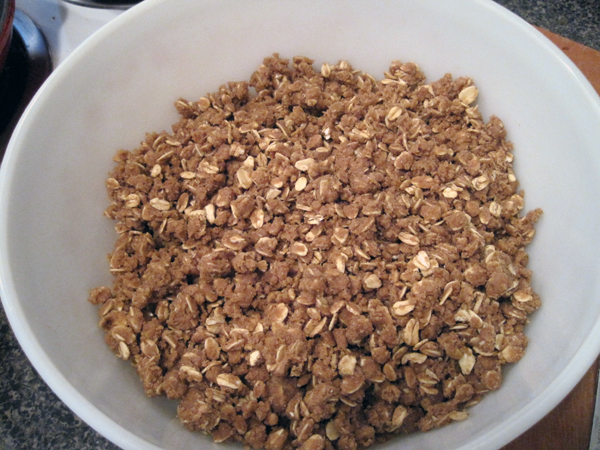 I stirred the oats and flour in with a fork until I got to this stage, then I used to my hands to get an even, crumbly mixture. These pictures are from my second attempt at making the squares. I used a wee bit more coconut oil (there happened to be 1/4 cup plus one teaspoon left in the jar) and I added a teaspoon of water (I wanted the crumble layer to be a little less crumbly and a bit more cohesive). I’m not sure which version I like better. In a glass baking pan, the edges only brown slightly.